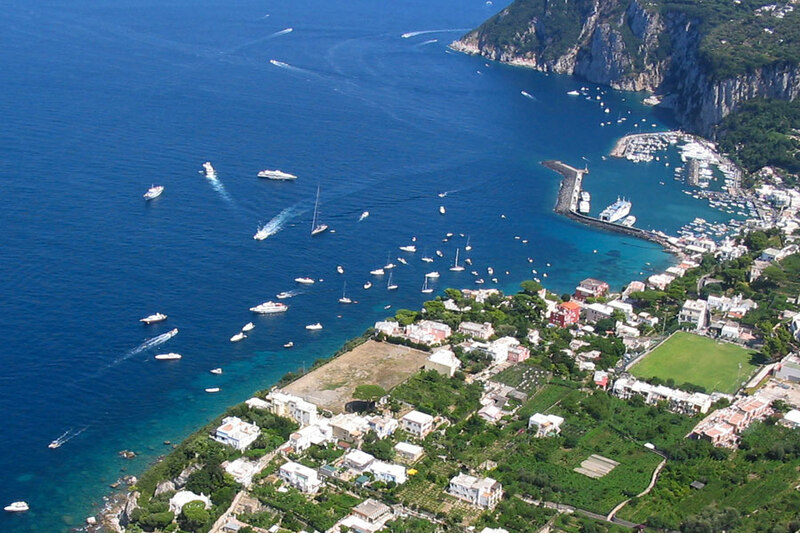 Even before you start to make your way up the pretty little lane which leads to Villa Bismarck, from the Marina Grande beach, which is just below the villa, you'll be able to catch tantalizing glimpses of the property, which has been declared a National Monument by the Italian Ministry of Culture. 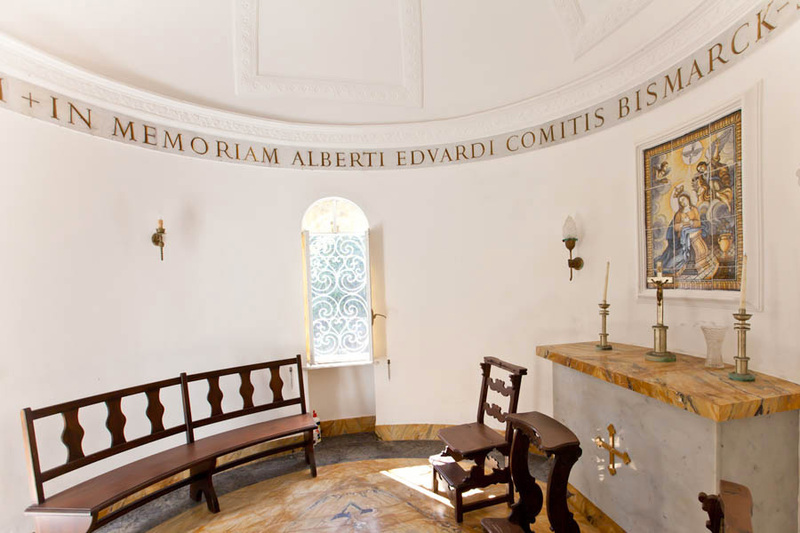 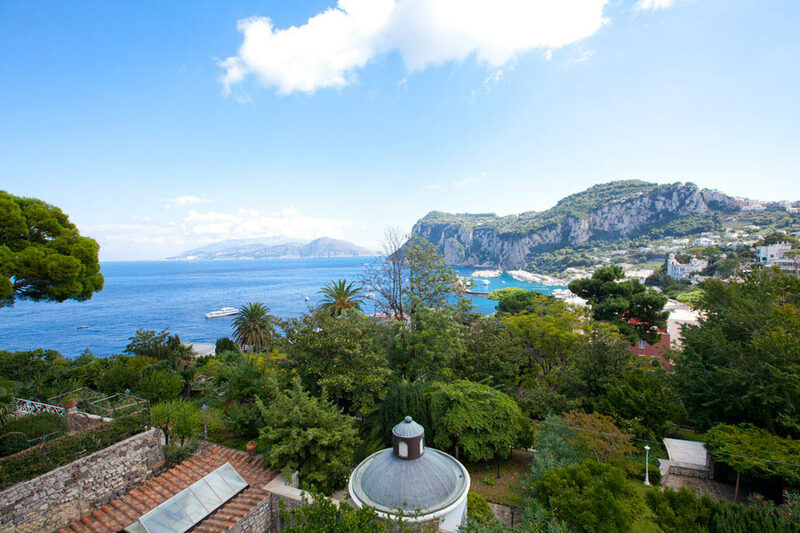 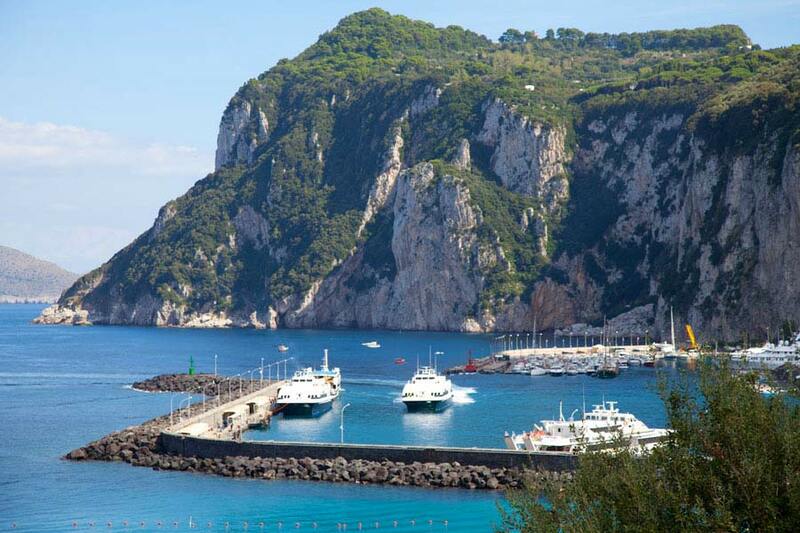 Halfway between the port and Palazzo a Mare, another of the island's beautiful beaches, Villa Bismarck lies within steps of the sea and just a ten minute bus journey or 5 minute funicular ride from Capri's legendary Piazzetta. 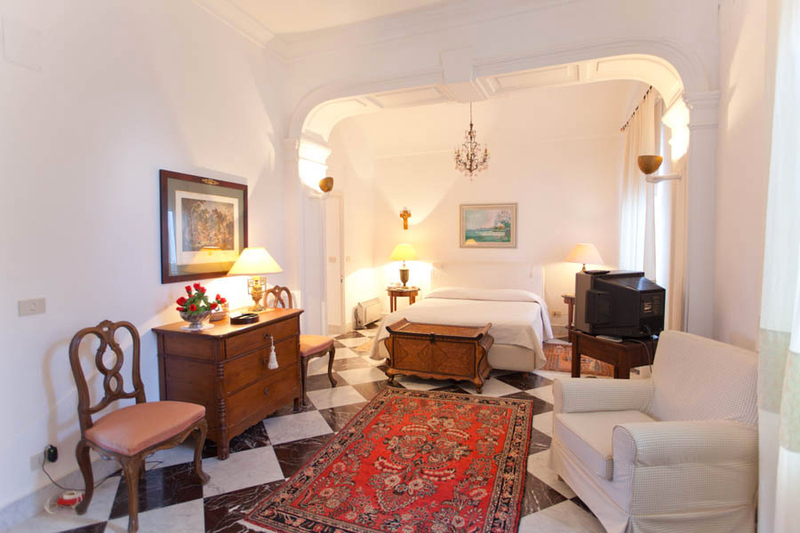 An atmosphere of times past continues to pervade the villa's elegant bedrooms, stylish drawing rooms and gorgeous, terraced gardens. 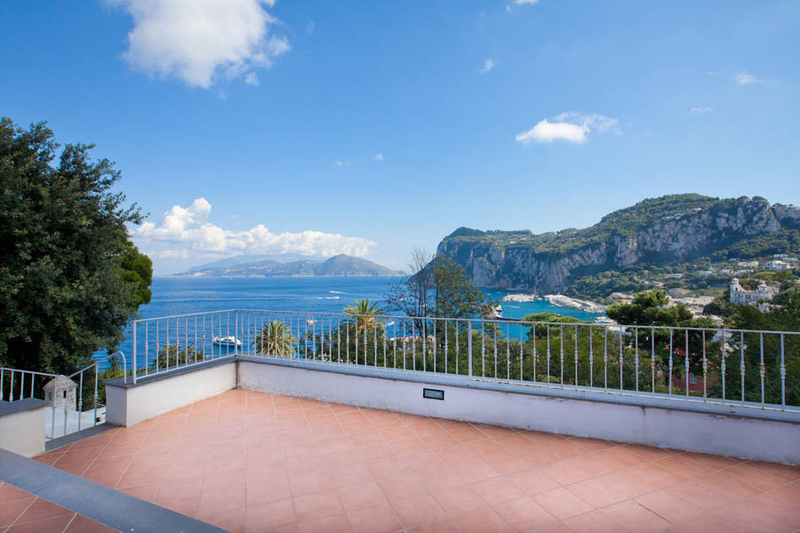 A fabulous Italian island hideaway, ideal for a romantic mini-moon, or leisurely summer holiday with family and friends, Villa Bismarck never fails to seduce guests with its sophisticated and utterly unique style. 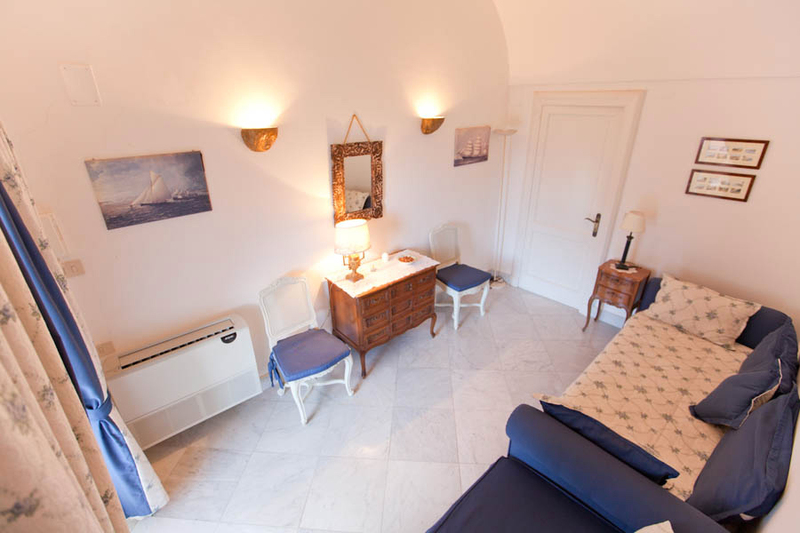 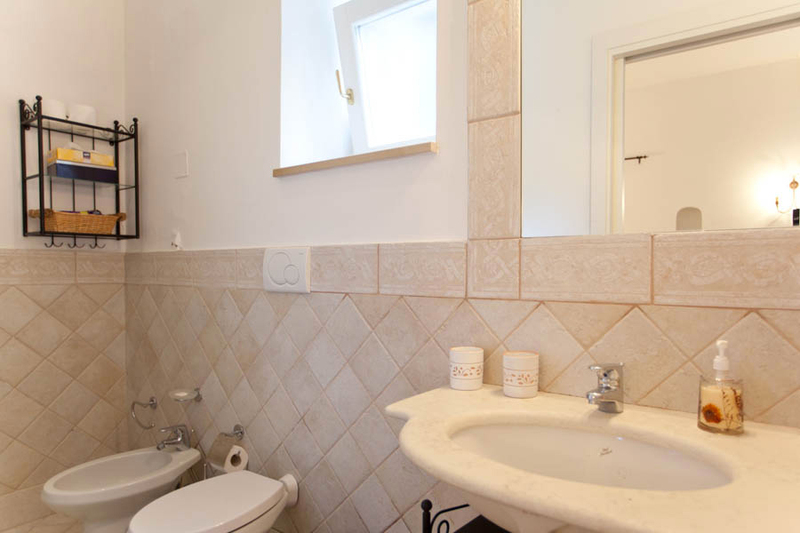 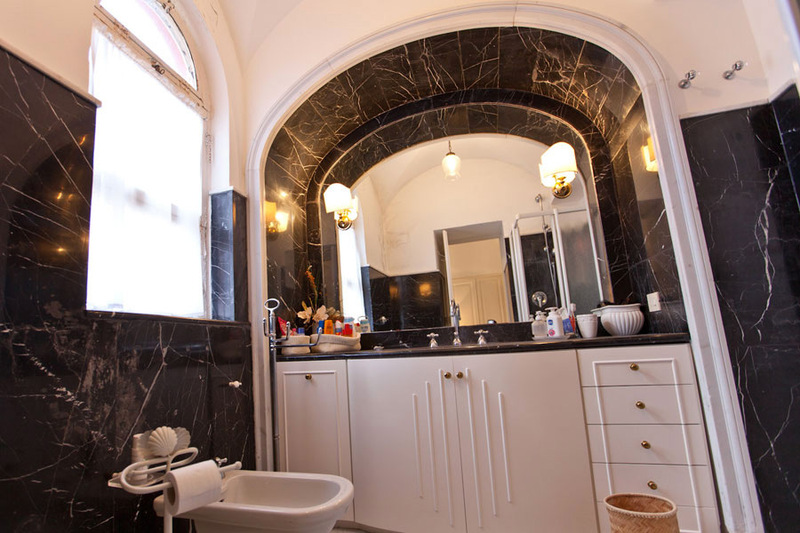 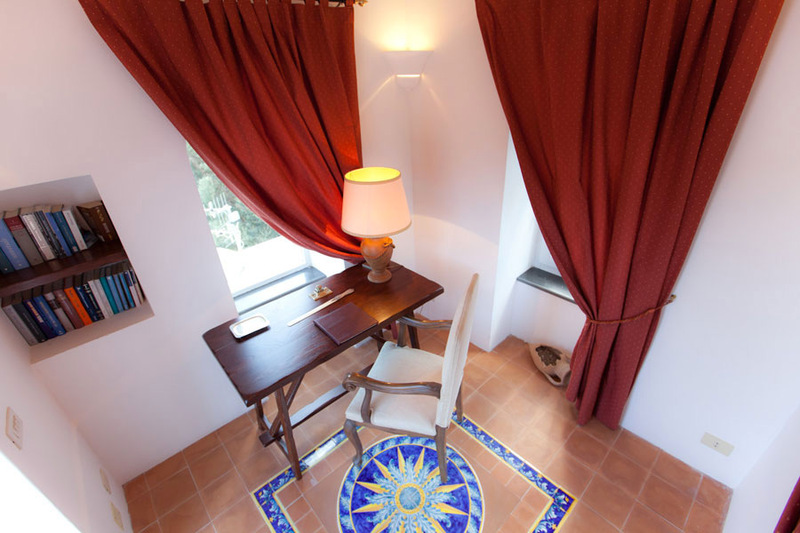 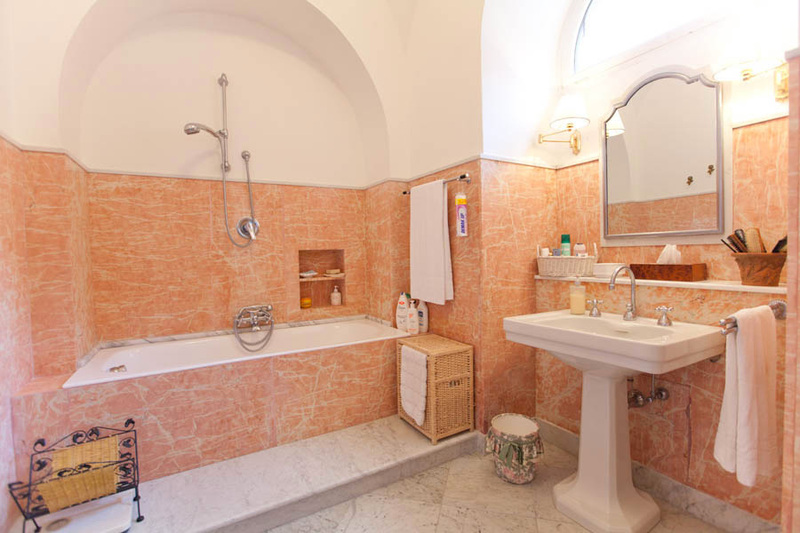 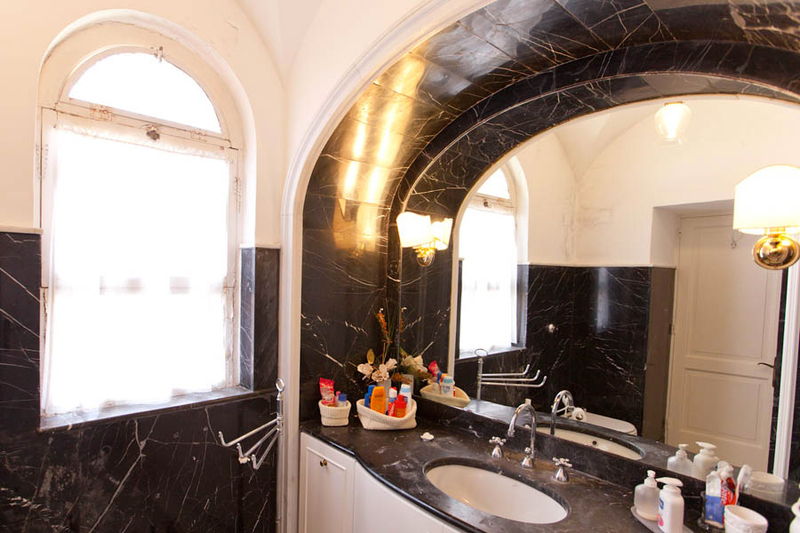 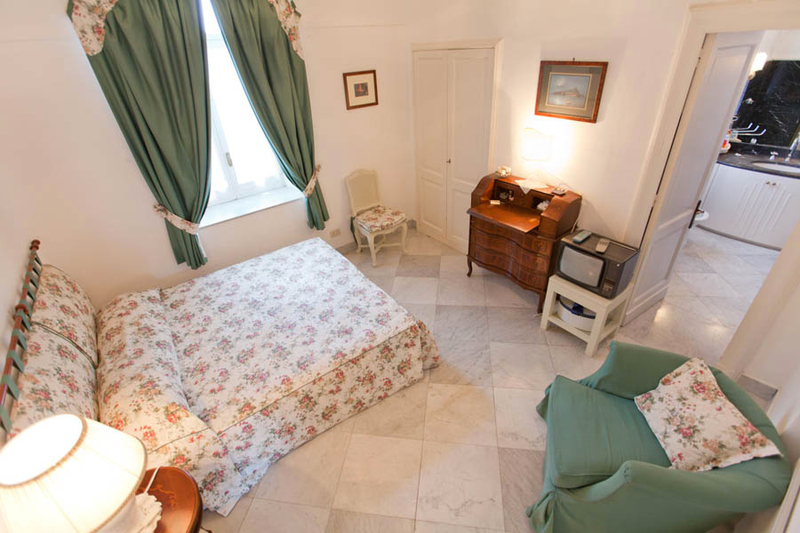 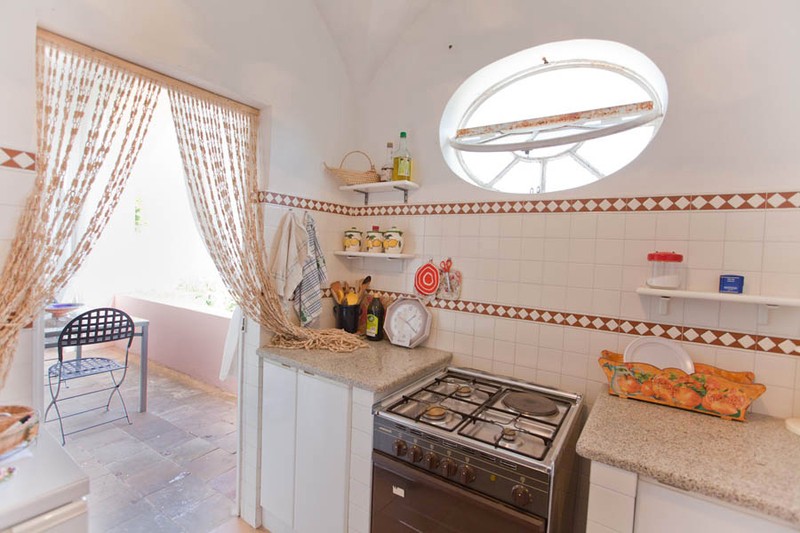 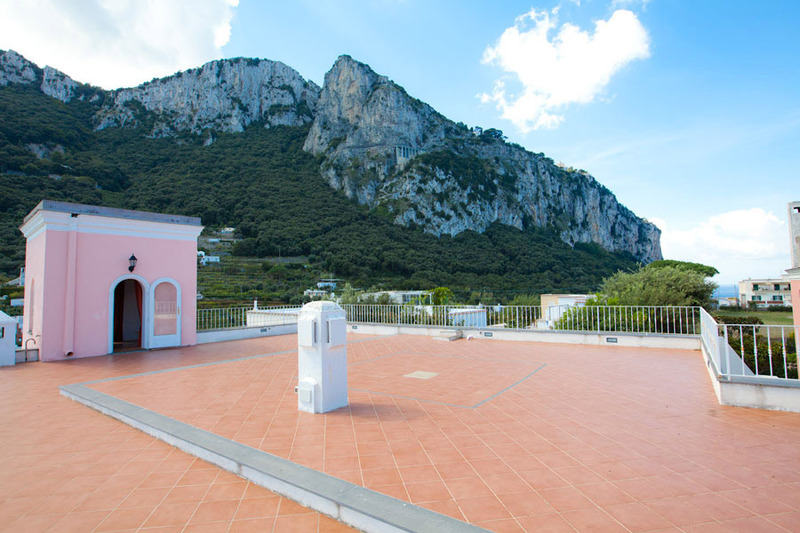 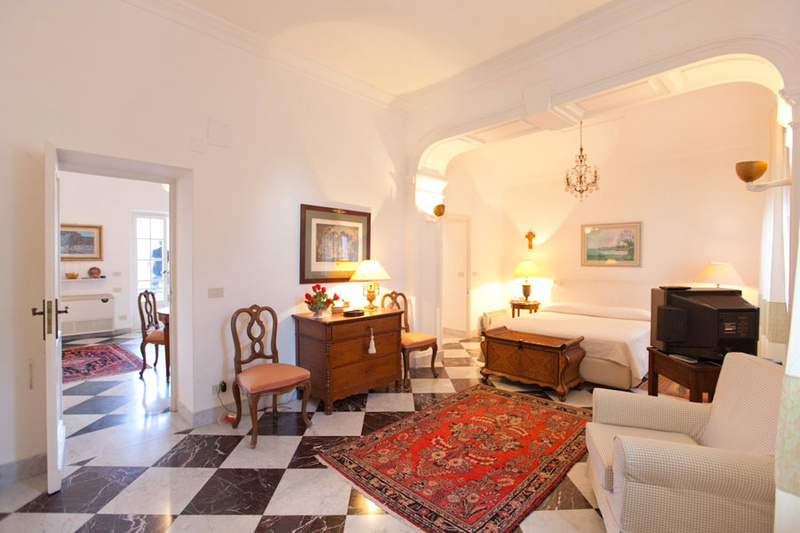 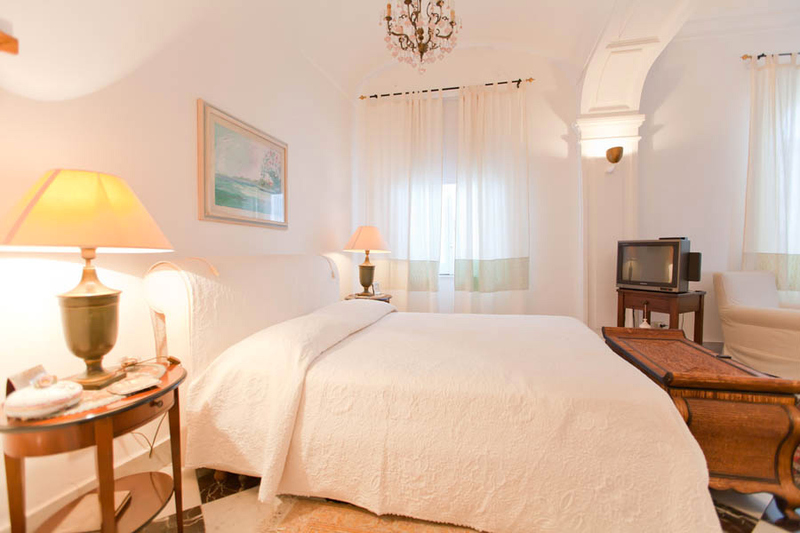 Villa Bismarck has two spacious suites, one double bedded room, and two single rooms, which, together with the charming little annex in the garden, provide guest accommodation for as many as 10 people. 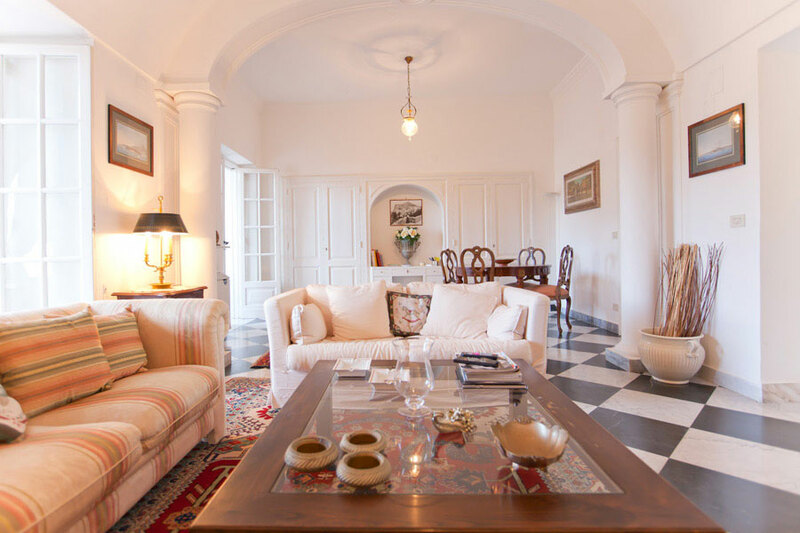 The large, light-filled living room offers the perfect environment in which to relax, although on warm summer evenings, guests inevitably end up gathering outdoors, on the villa's magnificent sea view terrace. 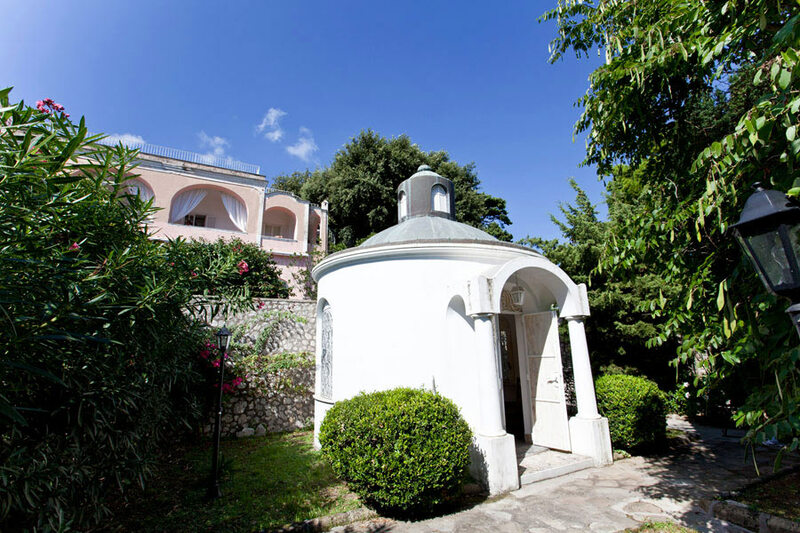 Designed and, for many years, lovingly tended by Mona Bismarck in person, Villa Bismarck's garden is, without question, one of the most beautiful on the island. 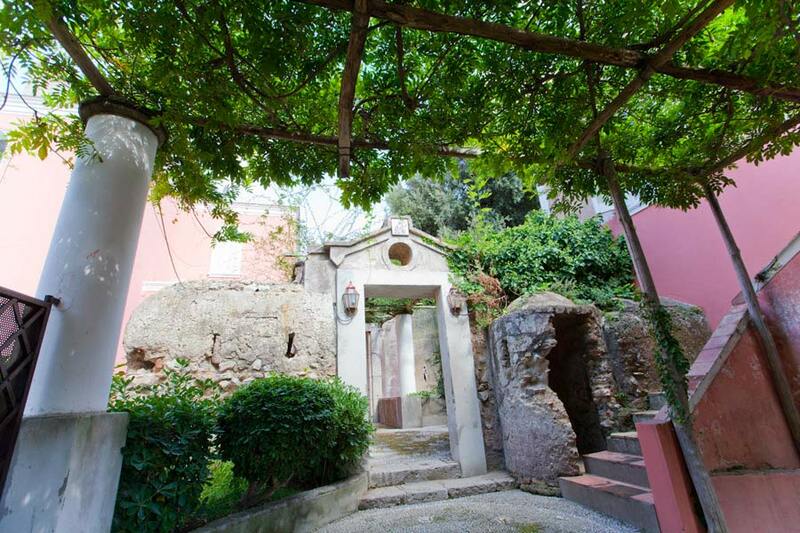 Brimming with brightly colored and exquisitely scented Mediterranean flowers, the garden features an open-air kitchen, a patio furnished for al fresco dining, and a tiny little chapel. 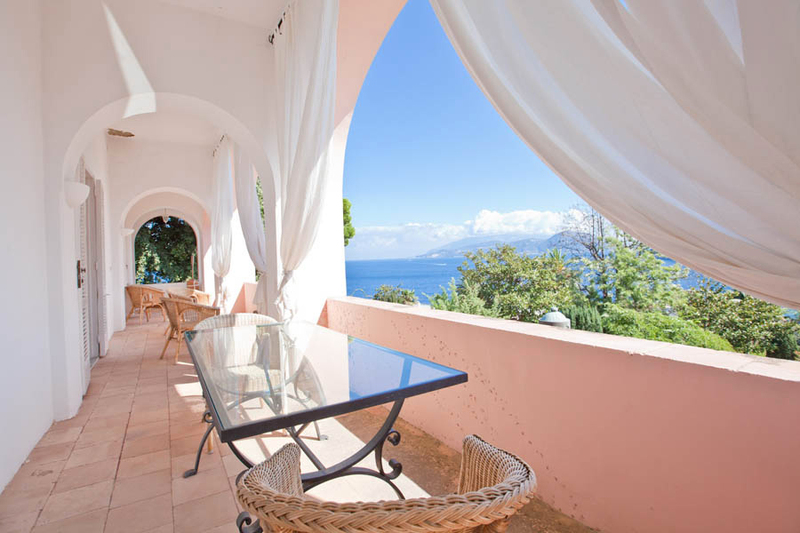 If, for you, "holiday" is synonymous with "sea", you'll love Villa Bismarck. 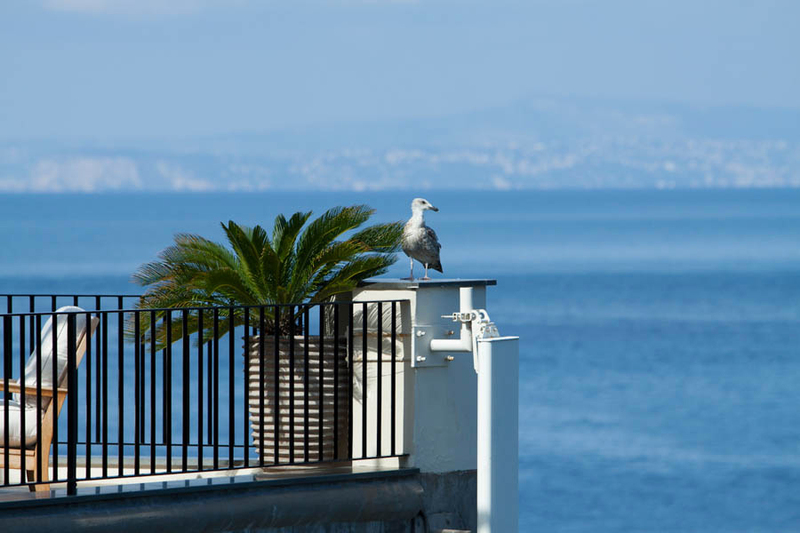 From the villa, guests can reach the beach of Marina Grande, the island's largest waterfront, in just five minutes, the same amount of time required to walk to the Palazzo a Mare beach. 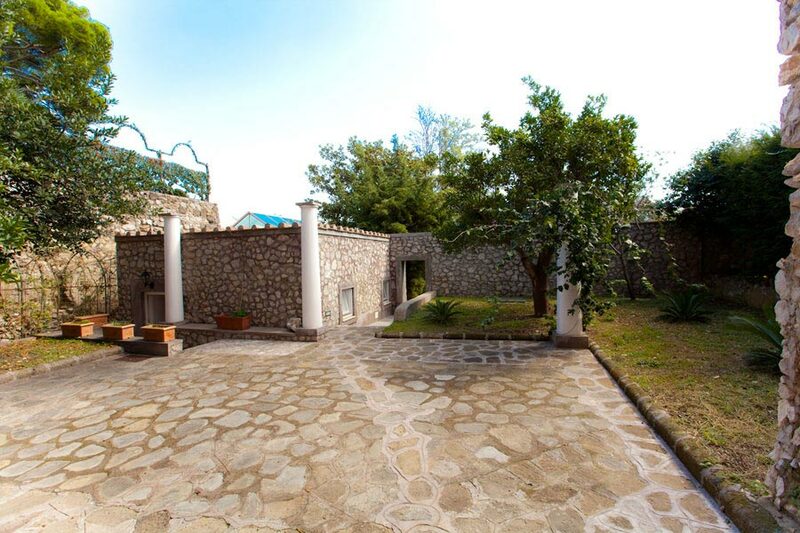 Also known as 'Bagno di Tiberio', Palazzo a Mare is where the Roman Emperor, Tiberius, built his seaside palace, the remains of which can still be seen.